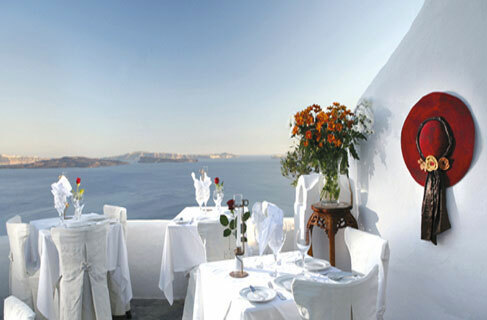 White tablecloths, red roses, two romantic terraces overlooking the volcanoes and the Aegean. Inspired from the Mediterranean cuisine with many creative and interesting versions. One of the best choices in Oia. Ideal for making your wedding proposal and having exclusive dinners that perfectly combine the view with the taste.